UPDATE: As of June 28, 2018, BoardBooster has shut down their Pinterest scheduling platform. BoardBooster recently launched tribes! I’m super excited for this new add on because I’ve seriously been wanting them to come out with a feature similar to Tailwind‘s Tribes since I first joined not too long ago. BoardBooster itself has done wonders for my traffic and following on Pinterest already so I can’t wait to see how BoardBooster tribes will be working out for my blog! This new Pinterest collaboration tool should seriously boost your blog and bring amazing results and I’ll definitely be putting them to the test over the next few weeks. I’ve already heard many awesome things about the tribes over the few days! Click the link to sign up for BoardBooster and snag your first month free! I’ve been playing around with them (even creating my own!) since I discovered them and I’m breaking it down with everything you need to know about BoardBooster tribes. So let’s dive into it! First of all, for those of you who don’t know — let’s start off with what BoardBooster is. As a blogger, you know that Pinterest is one of the most effective ways to bring in traffic to your blog. BoardBooster is basically a really awesome automation tool that makes pinning so much easier and way more effective in bringing in pageviews. Schedule tons of pins ahead of time and BoardBooster will pin them for you throughout the day and even throughout the week. Just set it up, sit back and let it run and then just reap the benefits. Now what are these new BoardBooster tribes they added to the scheduling program? Psst… If you want to join my tribe, follow me on Pinterest and either send me a message about the tribe you want to join or email me! So how are they different from Tailwind Tribes? On BoardBooster tribes, you have a few different options to pick from when creating a tribe. Just configure the way you want to set up your tribe and then it’ll ask you to set some ground rules for the group. 1. This tribe is strictly for sharing blogging tips and tricks. 2. No affiliate pins or 3rd party pins. 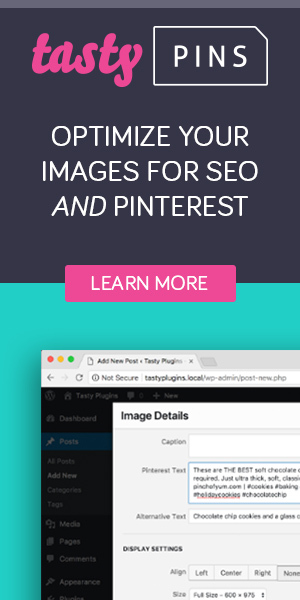 Only pins that link to your own blog posts are allowed. 3. Descriptions must be in PG-13 English, free of hashtags, emojis, or excessive uppercase. After that, BoardBooster will ask you to invite a couple of people to the tribe and then it’ll be activated. Then you’re good to go! Once you’re in and start setting up your pins, BoardBooster will literally take care of the rest! Just shoot me an email or a message on Pinterest with your Pinterest URL and I’d love to have you on board! I can’t wait to be sharing more updates on how this is working out for my blog and my traffic in the future. P.S. Haven’t started your blog yet? Siteground is currently offering $3.95/mo for their first blog hosting plan! Click here and use my affiliate link (at no extra cost to you) to snag the deal and get started on your dream blog! So what do you think of BoardBooster tribes? Loved the quiz! Very accurate! You’re awesome!